Rosa and Storm are a pair and bonded so their story needs to be told together. The day we evacuated from the Woolsey fire was traumatic and terrifying for everyone of us. We had very little warning that the fire had crossed the 101 freeway and was now raging towards our Malibu ranch with 50 mph winds driving it. 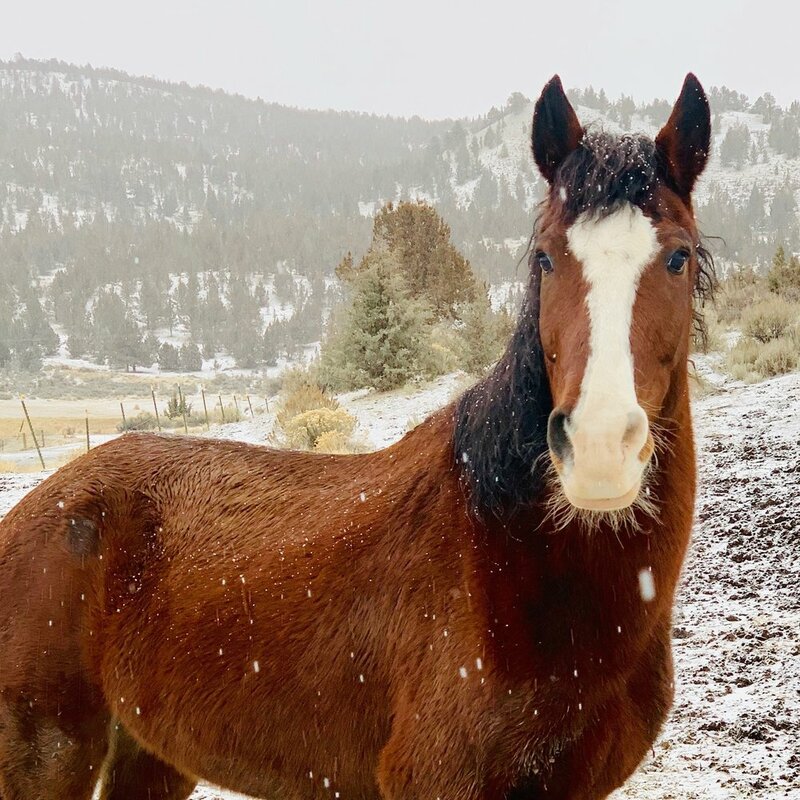 We were successful in evacuating all of our animals to our Mariposa ranch with three trailers and a crew of staff and volunteers. 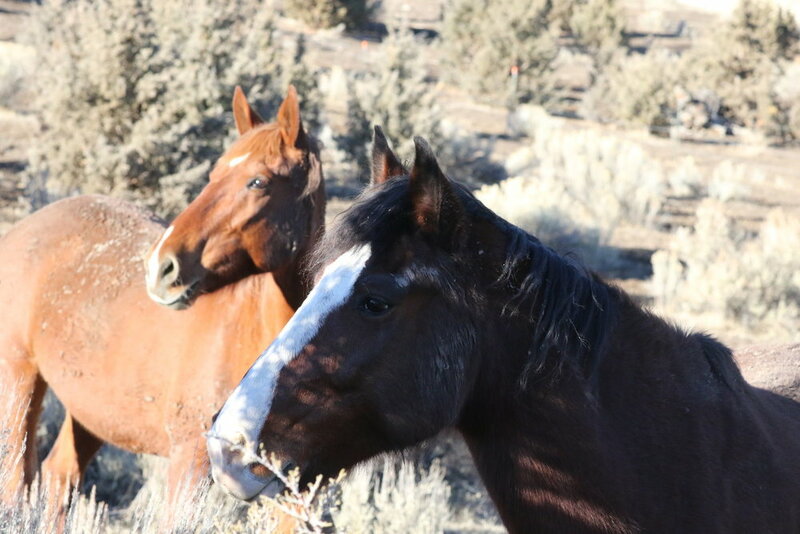 No sooner had we settled then we got an email from a gentleman who told us the very sad story that he and his family had evacuated too but were not been able to take their two wild mustangs, and now their property had burned but the horses were left on the hillside. They were unable to get into the area to feed them or check on them. They asked us to take them as they had no way to look after them without a home there.